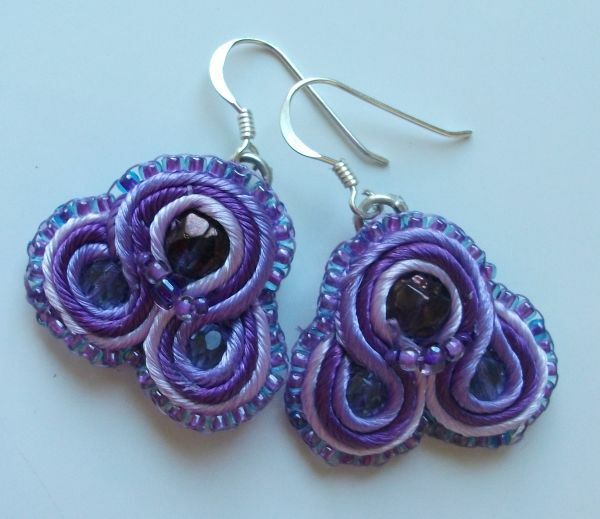 Since joining the Beading Babes group I've participated in two of the group projects. 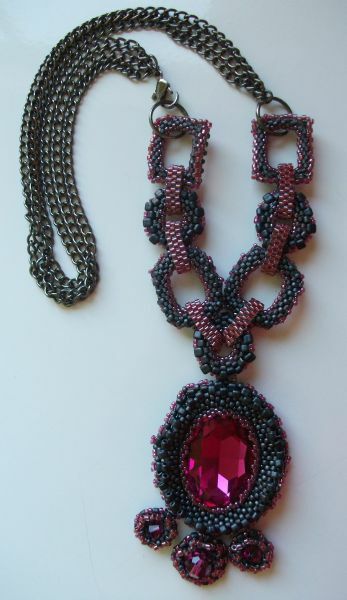 This time I selected the Josephine Collar by Jill Devon and the soutache earrings by Amee McNamara. I've shown them both below. I couldn't find any ribbon I liked for the necklace, so went with the chain. I am going to use a chunkier chain when I've found or made a bigger toggle or clasp. Otherwise, it looks pretty good. I used fuchsia and gunmetal. I also omitted the dangles as they didn't appeal to me. I adored the little taste of the soutache technique with the earrings, so will be making more with this idea at some point. Gorgeous! I love the chain on the necklace. It goes so well with the red and gunmetal. I love how different colors change the look of the necklace. Your earrings are great. I love the soft purple. Your necklace is beautiful I love the colors you used and the chain fits your version of this necklace well. I love the earrings they turned out great. Nice job on both. How on earth! Is all I can say haha. Your work is beautiful! An hour ago I was on a blog that discussed the current upswing in large chunky linked bracelets. I wonder if you could do an adaptation from the necklace! Well done!